So now the Skyfall DVD has been released, many people will be watching the latest and long awaited 50th Anniversary Bond movie in which Daniel Craig’s steps out a third time as Britain’s favourite secret agent. But is this the end? Has the Skyfall made them (Bond movies) crumble? I have to be honest. I haven’t been able to see Craig as Bond so far. I felt that the previous two Bond movies, Casino Royale and Quantum of Solace went on too long, in spite of some striking scenes and gritty determination of the lead character, I didn’t feel I was watching a Bond movie – I just was not getting that ‘tingling feeling’. Come to think of it, the last of Brosnan’s movies Die Another Day was a ridiculous story, with paper thin characters and dreadful script delivered by sneering, hammy acting rounded off with a minimalist unspectacular theme tune by Madonna, who also happened to wangle a part as the fencing instructor. I groan just thinking about it! When I went to see Skyfall at the cinema a week after it premiered, I went with a critical eye and curiosity stoked by the pre-publicity that hinted at some major changes. The appointment of Sam Mendes to direct implied that a fresh approach was being applied, and the replacement of David Arnold by an american, Thomas Newman to craft the soundtrack worried me. With all the holdups caused by the financial crisis at MGM that stalled the making of the film, there was a lot at stake to make Skyfall a success. There I sat in the darkness and Skyfall cranked into action, the film that would celebrate Bond’s 50th Anniversary on the big screen, a world record for a film franchise, and I wondered how this 23rd official Bond movie was going to make its mark. After it had finished I sat there slightly perplexed, pleased I’d seen it, but perplexed nonetheless. Let me explain. The film cleverly weaved a story that brought Bond back to how we first met him in the first Connery films – entering an ‘old school’ type Whitehall office, making quips to Moneypenny before being invited into M’s office. It dispensed with the gadgets, buildings and characters that had become familiar to us in recent years and ends almost bringing the whole Bond extravaganza full circle. I felt that the many nods to previous Bond movies throughout the film were acknowledgements to the great moments of the past, but in doing so was putting them to rest for good. My take on this being the producers were putting the old Bond formula to rest too, and this film would set the scene for a new genre of Bond film based more on ‘reality’, not the fantastical fantasies of the past. Which leads me to my appraisal of Daniel Craig. I felt Craig dug deep into the Bond character on this film, and I actually started to believe in him as Bond, not like one of the portrayals in the previous screen incarnations, but the character of Fleming’s original books. 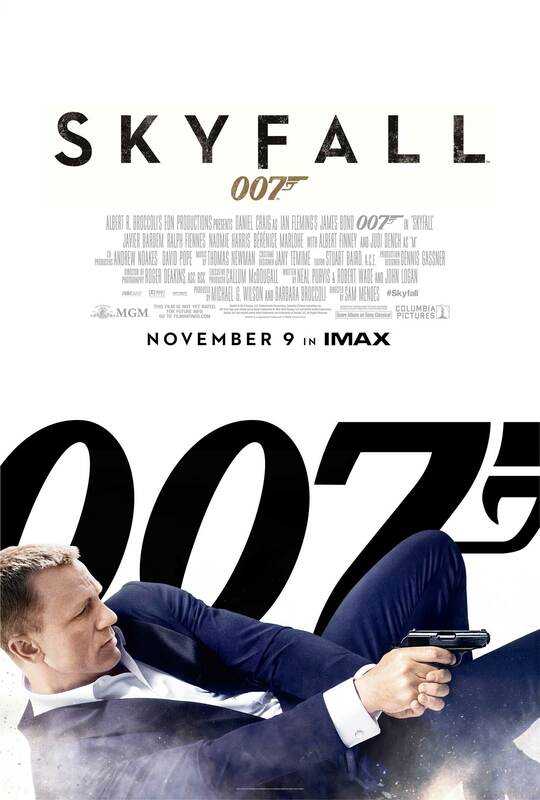 The deeper character acting from the cast gave it a more grounded ‘real feel’ which on one hand gave the impression of a more quality performance and movie experience, and yet for me the departure from the fantastical makes it a less thrilling, less fun movie experience, and removes the escapism which Bond has always given me. So on one hand I recognised that the film almost wraps up the past 50 years and sets out a potentially new approach to making future Bond movies, and yet do I really want to go and see a Bond film with actors giving performances with great gravitas in a believable world? That’s why I sat there perplexed as the credits rolled. What should an ardent Bond fan like me do? Well, I have many great CD’s of the fabulous music scored by John Barry and David Arnold. I can always turn to my beautifully remastered box set of the Connery Bond movies, or enjoy Lazenby, Moore, Dalton, and Brosnan doing it again on TV. And of course I will continue to watch to see where Bond will go from here, and if it doesn’t do what I think it should, then maybe I should consider making a Bond movie the way I think it should be done … Now there’s a thought! As Adele boldy proclaims at the opening of the Skyfall theme “This is the end …”. Is that a clue? Is Skyfall marking the end of the 50 years’ formulaic genre of Bond movies? Or does it signal the end of James Bond movies? I guess we’ll just have to ‘hold our breath and count to ten’. « The Epilogue – What’s The Next Step For Marketing, Business, & All That?